We’re hosting a Donkeycar Race at Locate! This race will take place Day 2 in the parking lot right next to the conference venue. On this page, you’ll find the software you need to integrate in your car in order to be able to compete. 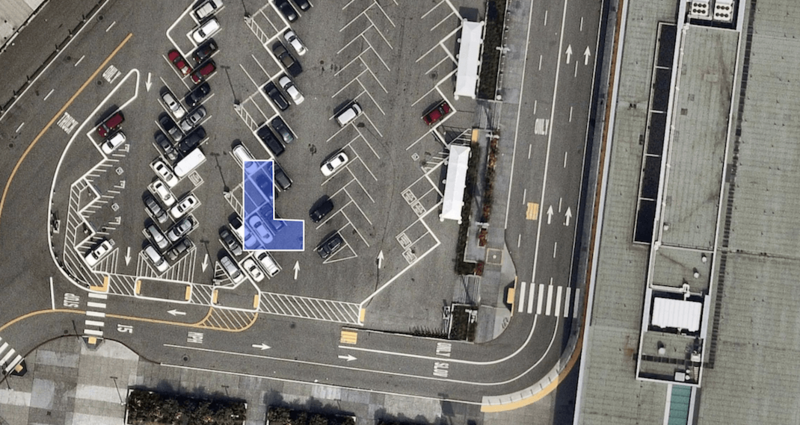 We call it the “Donkeycar Maps SDK” and at its core, it uses the same technology Mapbox embeds in real-world autonomous cars. Note: Donkeycar is our reference platform, but all types of Robocars are allowed. A vector tile (download) that encodes the shape of the tracks for the race. An open source Python SDK that you would use to decode the Vector Tile on-device. We have encoded real GPS coordinates of the track at Locate in the vector tile. Vector tiles are an open standard developed by Mapbox for caching, scaling, and serving map imagery rapidly. You can read more about vector tiles here. Use our Python SDK to decode the binary content of the vector tiles. It’s important to note, vector tiles do not include the raw GPS coordinates. Instead, coordinates are transformed into vector tile grid coordinates. That’s all - once you’ve decoded the vector tile, you can use the coordinates to instruct your Robocar to follow the tracks. Some participants will do all analysis on-device, others will transmit the data from their on-board sensors (cameras, sonar, LIDAR, radar, GPS or whatever else you have) via WiFi to a laptop that runs pro-grade AI and robotics software, including TensorFlow, ROS or the Udacity Self-Driving Car Nanodegree toolchain. Both approaches are allowed. No V2V lasers to intentionally interfere with other cars. Mapping software used to mine bitcoin needs to be disclosed to the SEC. We will also give awards to anyone who open sources their training model or code as part of their entry. If you have any questions about this SDK or the Robocar race please email our Senior Robocar Driver. For other questions about Locate, reach out via locate@mapbox.com.